You are currently viewing all posts tagged with kifaru. Saturday’s forecast was for 67F and sun. I’d forgotten what anything above 55F felt like, so I loaded up my ruck and hit the trails. My new Kifaru Parahootch came along for its first night out. I’m out in this area most weekends, but hadn’t been to this lake before. It was great. Surrounded by a lot of new growth, and only a 13 mile hike. There was even a bench by the lake where I chose to make camp. This post was published on 2008-04-13 . It was modified on 2012-09-15 . 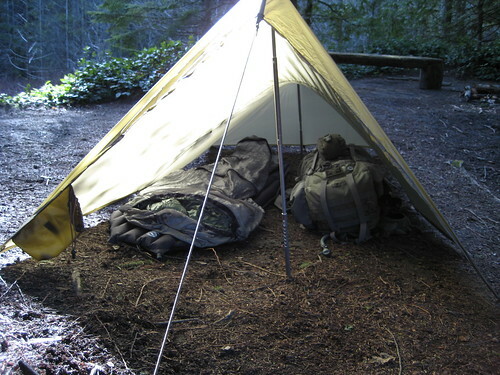 It was tagged with kifaru, camp, gear. 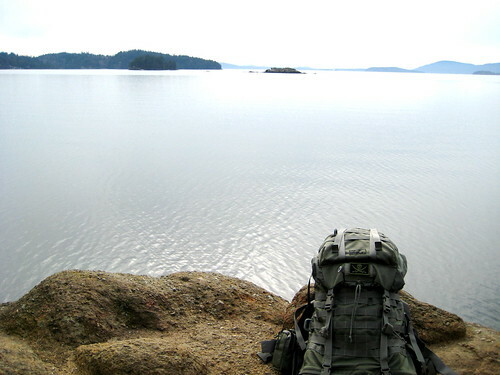 Home is where you rest your ruck. This post was published on 2008-02-24 . It was modified on 2012-09-15 . It was tagged with kifaru.